Diabetic retinopathy is a term used to describe retinal damage that results from diabetes. The condition may result in visual loss. Around 20% of patients with newly diagnosed diabetes show some signs of retinopathy. 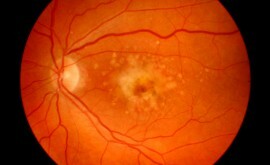 However, the longer the patient has diabetes, the higher the chance of developing retinopathy. Patients with diabetes have fluctuating sugar levels within their bodies. This fluctuation can result in damage to blood vessels. In patients with hyperglycaemia, which is where too much glucose is in circulation, a reaction occurs between the sugar and the proteins that make up the vessel walls. This causes collagen proteins within the walls to denature (or their characteristics to change), which thickens the capillaries. Over time, the thickening of the capillaries breaks down the vessel walls and leakage occurs. The duration of diabetes in a patient represents the biggest risk factor as the changes in the blood vessels described above occur over time. If patients are diagnosed before the age of 30 over 50% of them will show signs of diabetic retinopathy after 10 years. After 30 years of diabetes 90% of patients will have retinopathy! Poor diabetic control is another major contributing factor. There is a risk of hypoglycaemic events, which is where too little sugar is in circulation, if control is too tight. It is important to educate patients. Hypertension is yet another risk factor and many patients with type 2 diabetes also have hypertension. There is evidence to suggest that controlling hypertension can benefit patients with type 2 diabetes who have diabetic maculopathy. Lastly, pregnancy can be associated with the progression of diabetic retinopathy. Predisposing factors include too little or too much diabetic control when pregnant or the development of fluid imbalance or pre-eclampsia. In the UK, we see three main types of diabetic retinopathy: background DR, pre-proliferative DR and proliferative DR. Background and proliferative DR can also be known as simply non-proliferative DR. Diabetic maculopathy is retinopathy at the macular, which can be combined with any other form of DR. This is the very early stage of DR. As described above, blood vessels become weakened and start to leak. We call these leakages microaneurysms (MAs). The full definition of MAs is ‘localised saccular outpouchings of the capillary wall’. They appear as tiny red dots and are the very first sign of DR. When these MAs burst we get what are called DOT and BLOT haemorrhages. 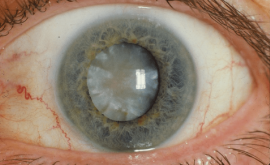 They are located in the middle of the retina in the outer plexiform layer and due to being longitudinally-oriented, the haemorrhages appear small and round. 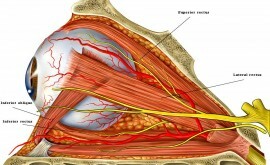 Flame haemorrhages are located more superficially in the nerve fibre layer. This gives them their ‘flame’ shape. With all this leakage we then see hard exudates. Hard exudates are composed of lipoprotein and lipid-filled macrophages and are located in the outer plexiform layer. Their role is to try and soak up the surrounding leakage, however if they occur in the foveal area, they can affect the vision. As DR progresses, blood vessels become more and more damaged. At this point, the retina may show early signs of ischaemia. These areas of ischaemia are known as cotton wool spots. They appear as whitish/grey spots with soft, fluffy edges and they are also located in the superficial nerve fibre layer. In addition to this, vessel damage is further seen by beading of the larger retinal veins and other vascular anomalies known as intraretinal microvascular abnormalities (IRMA). IRMA appear as thin, irregular lines that run from arterioles to venules. They are difficult to see when examining the fundus and it takes practise to be confident at spotting IRMA when there is a lot of other DR. It is important to detect these though, as IRMA is the first indicator of pre-proliferative DR progressing to proliferative DR.
Over time, as further damage occurs to blood vessels, the vessels will occlude entirely. They will shut down all blood supply to areas of the retina. As a result, the retina tries to get oxygen by sending out an angiogenic chemical called VEGF (vascular endothelial growth factor) that stimulates the growth of new vessels. Neovascularisation is the name to describe this new growth. 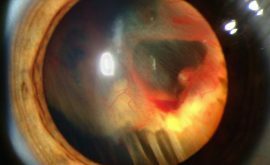 Once new vessel growth is seen anywhere at the retina (NVE) or at the optic disc (NVD) we know that the DR is now very advanced and we call it proliferative DR. It is not so common these days for a patient to reach this stage of DR but if they do, it is very serious. As many as 50% of patients with proliferative DR go on to go blind within 5 years if they go untreated. The problem here is that the new vessels are very weak and abnormal. They grow all over the place including into the vitreous. Because they are so weak any traction of the vitreous makes them leak, causing a vitreous haemorrhage. This in turn, causes loss of vision. In addition, vitreous traction or movement may cause the new vessels to pull on the retina, causing possible retinal tears or detachment. It is very important to closely monitor patients who have neovascularisation as if the eye becomes so starved of oxygen, vessels may even start to grow into the iris which is called rubeosis iridis. This is very dangerous as it can cause secondary glaucoma from the vessels leaking and blocking the trabecular meshwork. You must refer all of these patients immediately to be considered for treatment. The next article will focus on the management and treatment of diabetic retinopathy.